Latest Updated On 25.01.2019 : Allahabad High Court Answer Key Is Released……………Download Your Question Booklet & Answer Key Through The Link Given Below…………..
All the Candidates Who Filled there Online Application Form and gave the exam on the Date 20.01.2019 & 21.01.2019. The Exam was Written Objective Type. The Exam was of Total 100 Marks. The Time Duration of Examination was 90 Minutes. There was No Negative marking. As most of you are ignorant about Selection Process after Written Exam so we inform you about Selection process. On the basis of merit list prepared in pursuance in Written test candidates against each vacancy category wise shall be invited to participate to the Next Stage, which shall be held at Allahabad. This test shall also be objective type with 100 Marks to be answered on OMR sheets. As there are 4386 Vacancies for all the above Posts so. NOTE : Separate Final Merit List of the candidates for the posts of each post shall be prepared on the basis of aggregate marks obtained by the candidates in Stage-1 & All Others. Candidates who appear in Allahabad High court Various Written Exam must be curious about cut off marks. An anxiety filled question stuck in their mind that “What will be the Exam Cut Off Marks” or “On what score we can make a place in merit list”. Allahabad High Court has not announce any cut off for Junior Assistant or All the Posts Exam. We are providing you Expected Cut Off Marks for Written Exam 2019 held on the date 21.01.2019. Cut Off Marks has been expected on the basis of difficulty level of question paper and no. of candidates appeared in exam. 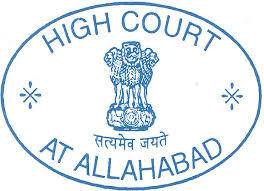 High Court fully hold the right to set the cut off marks for Allahabad High Court JA, Group D Exam. Cut Off may vary according to Category i.e. Gen, OBC, SC/ST, PwD etc. Official Cut Off Marks/ Merit List will Declare by Allahabad High Court at the time of Result Declaration. *JobRiya followers should note that this is not authenticate cut off marks, official cut off may be slightly increase or decrease. Candidates are advised to keep in touch with Allahabad high Court’s website and our Web Portal (www.JobRiya.com) for every updates regarding Personal Assistant & Various Exam 2019. Candidates can share their queries if any related to Allahabad High Court JA, Group D Exam Cut Off Marks 2017 through the comment box given at below. Sir Mera 87/100 score hai Allahabad high court group d mein ….kya mein safe zone mein hoon…..
General me 93 shahi hai group d me secnod stage ke liye qualified Hoga? Sir high court group D k paper m 88 right hai main OBC se belong krta hu kya mere pre qualify hone k chance h ? Sir ye logo ki 150 plus marks kaise aa gaye hai 100 number ka written aur 50 number ka type test tha na? to log 180-190 kaise pa ja rahe hai. 193 number kiase aaya 100 number ka written aur 50 number ka type test tha na? written aur type alag alag number kitna hai. Civil court requirement 2016-17 cancel kar di hai new requirement de hai jo 06-12-2018 to 26-12-2018 tak online hogi . Ab ak hi Rasta hai s court chalo requirement ke khilaf 5 /12/2018 se pahle .